The world changes constantly. In our modern times, the change is quite rapid and noticeable, thanks to technology. Ever wondered how life had been before technology invaded it? Definitely, it was totally different. The cultures were different and so were the superstitions, languages, notions, and so on. Some countries were not there yet. Others had been always around, but differently. Those used-to-be different countries include Ireland. The latter has gone through a lot of modifications throughout the ages. At some point, it was Gaelic Ireland; slightly different from what it is today. People of Ireland has always been known with a lot of different names, including the Gaels or the Celts. The Gaelic history is a long timeline of interesting ideologies and superstitions. You will shortly learn about all that is needed to be known about the Gaelic culture. In the Irish language, people refer to Gaelic Ireland as Éire Ghaidhealach. Gaelic Ireland was a culture that took place at some point in the Irish history. That span lasted from the prehistoric era and all the way till the early 17th century. Moreover, that period was a political and social order that the Gaels created. It, sort of, meant that they had a culture on their own. Not one that is different from the Irish one, but one with slight differences. During the Gaelic era, Ireland was so much larger than it is today. Well, the land hasn’t shrunk, but a lot of that enormous piece was gone after the invasion of the Normans. The latter invaded Ireland in 1169. Before that time, Gaelic Ireland covered a large part of the country that is considered a foreign part. Gaelic Ireland was a different period in the history of Ireland. It had different rules of the economy; they never used the money. Besides, Gaelic Ireland had its own style when it came to music, architecture, dancing, and arts in general. It bore a great resemblance to the Anglo-Saxon styles; both styles merged later to produce an art on its own. For as long as Gaelic Ireland had existed, the society consisted of several clans. People had not seen all of the Gaels as one unit. In fact, they were divided into tribes or in-groups in a hierarchy according to the class of each clan. By the way, Gaelic Ireland wasn’t the only country that was popular of clans; all of Europe was the same. The hierarchy of the society consisted of territories; there was a king or chief that ruled each territory. Those kings were elected through what was called a Tanistry. We will get into more details shortly. The territories had gone into battles and wars against one another, frequently. Based on the powerfulness of each ruler, he got to be the High King of Gaelic Ireland. We just mentioned that Tanistry was the way that Gaelic Ireland used in choosing a king to a clan. However, we haven’t yet mentioned what exactly it was. Tanistry was a system that Gaels used in order to pass down, or inherit, lands and titles. People referred to the chosen person as the Tanist; there were specific traits for such a person. Those who had such traits were among the heads of the Roydammna. The latter is a Gaelic word which literally means the ones with the king’s traits. They were ones who were eligible for such positions. Mostly, the clans were composed of males; all of which descended from the same ancestors. The conditions of the kingship successions included that the man should share a relationship with the previous chieftain. The Gaelic history had always referred to the significance of the Roydammna. Stories and tales of the Irish mythology spoke of those Tanists. Among those stories, lies the popular tale of Cormac mac Airt. He referred to the eldest of his sons as his own Tanist. Ø Who Were the Tanists? For further explanation, the Tanist was a person related to the king. He becomes the following heir of the kingship in case the king or chieftain died. All leaders of Gaelic Ireland started off by being tanists. Among the conditions, besides being qualified, the tanist should share the same grandfather with his predecessor. How someone became a tanist was also through an election made by freemen who descended from the same great-grandfather. They had the seniority of tanists as well. This means that there could be more than one tanist all at once. They receive the kingship one after another in accordance with their seniority. First of all, in the Gaelic history, the tanistry lasted for a quite long time. It started at a very ancient time and lasted up to the mid-16th century or the early 17th one. The Gaels may have been the ancient versions of the Irish. On the other hand, the Picts were the original ethnicity of the Scottish. Probably, the Gaels were among the first nations who used Tanistry in electing their kings. They even passed that system to their Scottish fellows. However, the Picts did not carry on sharing the principles of that system. Definitely, the succession of the Tanistry was a male-oriented system. Females never had the right to be Tanists. That was only until 1005 when King Malcolm II set an agreement. He was the first monarch to ever introduce the hereditary monarchy. The concept started off in Scotland and Malcolm actually succeeded in altering several terms of the succession. The first term that he altered was that the conflict that the elective law caused. He believed that the law escorted to fights between rivals for getting to the Throne. The other term that he managed to change was allowing the female-line succession, especially that he only had daughters. Allowing the female-line succession, in fact, caused more conflicts between the generations. King Malcolm may have succeeded in changing several terms in the hereditary monarchy. However, his concepts remained within the borders of Scotland only. The monarchies of Gaelic Ireland had never allowed females to inherit power or Tanistry. They remained the same until this very day and throughout the history. Ø What was the Blood Tanistry? Yes, there was what the Gaels called the Blood Tanistry. The latter was actually a principle that stated who was worthy of inheriting the throne. 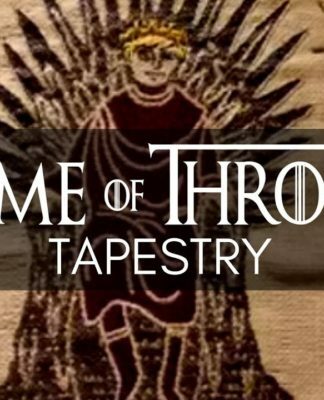 It stated that the throne inheritance was granted to the male member of the royal dynasty; the most talented one. It was hard to choose a ruler from the male members of any royal clan. That was because they all had equal rights of claiming power. Thus, in order to choose a ruler, he had to be the one who conquers the competitors. In other words, he had to be the most powerful among all of the other members. Who Were The Gaels of Ancient Ireland? Pretty much like the Celts, the Gaels were an ethnolinguistic group who originated from the northwestern side of Europe. As obvious as this may sound, the Gaels used to speak many Gaelic languages. Those languages stemmed from the Celtic languages; ones that were used in ancient Ireland and Scotland. In the past, the Gaels were an ethnic group that derived from the Celtic race. Mainly, the Celts were originally Irish and Scottish; however, there are still debates around that fact. Some sources believe that the relation between the Celts and the Irish is just a false claim. However, people of today still believe the same. The Irish consider themselves the successors of the Celts, hence the Gaels. The Gaelic culture had been spread over several spots around Europe, including Manx, Scotland, and Ireland. Ever wondered why Ireland in particular that people get to call Gaelic Ireland? Well, before proceeding, there was an era in Scotland’s history where the Gaelic culture was dominant. Thus, we can call it Gaelic Scotland as well. However, the truth behind the story of Gaelic Ireland is the fact that this culture originated in Ireland. Yes, it all started there and then extended to western Scotland to settle in Dal Riata. How had Ireland been before the spread of the Gaelic culture? Well, we cannot tell for sure. But, since the Gaelic culture is part of the Celtic one, the Celtic culture may have been prominent back then. The Gaelic culture overrode through all of Scotland in the Middle Ages. There were other nations that adopted the Gaelic culture as well, including Cornwell, Wales, and some of the Vikings. In fact, the Vikings are not originally Gaels. However, during their Golden Age, some of them settled in Gaelic lands, becoming the Norse-Gaels. At that time, the Gaelic culture was no longer limited to Ireland. It extended to other countries as we previously stated. Dal Riata of Scotland was already laden with Gaels, Scots Gaels to be more precise. The Scots Gaels along with the Picts formed a brand new Gaelic Kingdom, known as the Gaelic Kingdom of Alba. During the formation of that Kingdom, Gaelic Ireland already consisted of several kingdoms. All of those kingdoms of Gaelic Ireland had a High King to rule them. Gaelic Ireland lived peacefully for long years; however, the peace was a bit threatened in the 12th century. At that time, the Normans decided to invade Ireland and took control over several parts of the land. They had an objective similar to that of any conqueror; spreading their own culture. The Normans wanted to wipe off the Gaelic culture by Normanizing Scotland and Ireland. As a matter of fact, they succeeded in doing so to some parts of Scotland, excluding the Scottish Highlands. However, the Gaelic culture in Ireland managed to remain as strong as ever. Unfortunately, the Gaelic culture hadn’t remained as strong as it was in the 12th century and the following centuries. The early 17th century was the time where that strength had been put an end to. Gaelic Ireland was only centred in small spots around the land. The English colonization managed to make the Gaelic culture fade out from several parts of Ireland. James I was the ruler of the English occupation at that time. His goal was to spread the English culture. There were British settlers everywhere. Unluckily, the 17th century was the onset of the curse. The following centuries were only a representation of how the Gaelic culture had slowly faded away. Most of the Gaelic language was already anglicized. 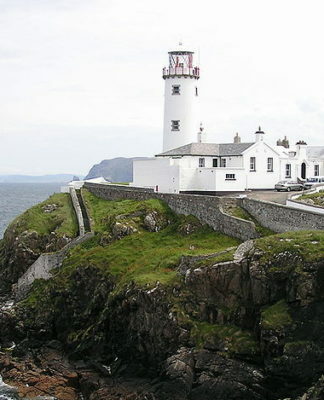 Irish people of the modern times speak Irish English; however, the Gaelic language is still used in many public areas. We have already stated that the society of the Gaelic Ireland was not all the same. They had clans; lot of them. Each clan had its own status, land, and leader as well. In fact, Gaelic Ireland was all about the traditions and customs of the Celts. The latter managed to pass down their culture and make it alive for centuries. Interestingly, some of the Celtic traditions still live around in modern Ireland. The Gaels did not appreciate writings that much. However, they were so fond of arts and that was part of how their traditions lived. They inherited the Gaelic customs through the years orally. That does not mean that they never wrote; they actually did and they had their very own alphabets as well. The most common writings in Gaelic Ireland was the Ogham alphabet. Scholars have found that most of the Gaelic inscriptions were written in the Ogham alphabet. They go back to the first century when the Gaels started using them. We will get into more details about those alphabets later. However, at some point, the Gaels started to use the Roman alphabet. More precisely, they started off during the arrival of Christianity. Ø What was the Ogham Alphabet? Ogham is the alphabet that was used in the Early Medieval Ages. The Irish language consisted of that alphabet. Ogham was the alphabet used in writing the Irish language during the ancient times. However, there was a difference between the alphabets of the early Irish language and the Old Irish one. From the 1st to the 6th Centuries, Orthodox inscriptions was dominant in the early Irish language. Interestingly, around 400 of those Orthodox inscriptions still survive around Ireland and Western Britain. You can find them on the stone monuments present around the Islands. They are abundant within the border of Ireland; however, there are still some of them outside. Wales is the country with the largest number of stone monuments with Orthodox inscriptions right after Ireland. Going back to our main point, the alphabets used in the Old Irish language was Scholastic Ogham. The Irish started using them starting from the 6th century and until the 9th one. Education is definitely a vital part of the development of cultures. The Gaelic culture may have passed down their traditions orally. But, they valued learning so much that they even had Gaelic monasteries for such purpose. Gaelic monasteries were deemed to be one of the highest influential elements in Europe. They were centres specified for learning and the development of Insular art. Ireland is known to be a Christian land; however, pre-Christianity they had a different god, or gods, to worship. Gaelic Ireland was that time when Christianity had not arrived in most of Europe just yet. Paganism was the most dominant religions. The Gaels worshipped many gods and goddesses of the Tuatha de Danann. Paganism was also the religion of the ancestors of the Gaels. They seemed to have honoured their ancestors so much that they inherited their religion and believed in the Otherworld. There is much more to learn about Paganism. Pagans had their own notions, holidays, and superstitions. We briefly mentioned the Norse-Gaels; however, it’s time to get into details about those people who resided in Gaelic Ireland. The literal meaning of the Norse-Gaels is foreign Gaels. Those people existed at that time when the Gaelic culture was dominant. However, they were not real Gaels when it came to their origins. Other scholars claim that they were a hybrid of the Gaels and other nations. During the Viking Age, there were some Gaelic settlements in which the Vikings resided. Their residence escorted to the intermarriage between them and the Gaelic populations. Such an intermarriage resulted in the existence of the Norse-Gaels. Throughout the Middle Ages and until the High Middle Ages, the Norse-Gaels gained power. They possessed the lands around the Irish Sea. Besides, they founded other kingdoms on their own. Those kingdoms included the Isles, Dublin, and Mann in Ireland and Galloway in Scotland. In fact, they founded many more kingdoms, but the mentioned ones are deemed to be the most notable. The Origins of the Vikings went back to Norway and Scandinavia. The ones who settle in Gaelic Ireland, in particular, were of Norwegian origins. They managed to take the power of the Kingdom of the Isles for around five centuries. Definitely, the Norse-Gaels had not had force over the land of the Irish Sea peacefully. It did their first raid in 795 and it took place in Lombay Island. On the other hand, that was not the only raid that the Viking recorded in Gaelic Ireland. There were two more striking raids in the history of Ireland. Those raids took place on the coastlines of two prominent Irish cities, Dublin and Connacht. The raid of the former city had come to pass in 798 while that of the latter happened in 807. The first two raids that took place in 795 and 798 depended on superficial tactics. History recorded that the early Norwegian Vikings used the quick hit-and-run tactics. Foreign and occupation and overpower is never fun. However, they usually have their ups and downs. The positive side of any settlement is that they bring their culture along with them. Thus, the occupied land gets to adopt whatever elements suit it from the colonization. Certainly, the Norse settlement had a great legacy. They were the ones who introduced the divisions of the land as well as the Tynwald parliament. Up until this very day, the Irish still use what they adopted from the Norse settlements. Is There a Difference Between the Gaels and the Celts? At some point, there was Gaelic Ireland, but, at all time, there is always Celtic Ireland. Ok, we will explain further. Gaelic Ireland existed when the Gaels arrived in Ireland; simple as that. So, the Celts consisted of two main subsects; Brythonic and Gaelic. Some people referred to Gaelic Ireland as Goidelic too. Each of the subsects resided in several nations that they became associated with them. That actually explains a lot about Gaelic Ireland. However, the Brythonic were those who resided in Brittany, Wales, and Cornwall. On the other hand, the Gaels were those resided in Ireland, Scotland and the Isle of Man. Both the Gaels and the Brythonic are deemed to be the only Celts left in Europe until today. So, there is not that big difference between the Gaels and the Celts. The former is actually part of the latter. In order to make a long story short, all Gaels are Celts, but not all Celts are Gaels. Social classes are the method of determining the status of each individual within the community. Almost every culture believes in the significance of incorporating the hierarchy in their societies. Actually, Gaelic Ireland was no exception; they valued dividing the society into groups or finte. Finte is the plural form of the word fine; it means agnatic kinship. The latter is actually a system used to determine the male line of one’s family. It helped in learning about the male’s family history and his rights in the inheritance of properties, names, or titles. The Finte is exactly the same system of the Blood Tanistry. Each male had the right to inherit his father’s authority. However, if a member received foster from a specific family, he became entitled to the inheritance as well. Even though the fostered members weren’t related to the family by blood, but the kinship structure accepted them. It is easy to anticipate that the society in Gaelic Ireland bore a great resemblance to Europe’s ancient culture. Those who fell in the higher categories of social classes were granted more privileges. They were ones with more power and wealth; ones with prestigious statuses. On the other hand, the lower social classes had minimal to no privileges compared to their more respected counterparts. The following is the hierarchy structure of the Gaelic society from the lowest to the highest, respectively. In the lowest class lie the slaves and serfs- easy to guess, right? Well, in the ancient times, the Gaels referred to them as the unfree. They also perceived them as criminals or wars prisoners. Ever wondered the status of the slave’s family? They were slaves as well. Slavery, like kingship, was passed down for generation after another. However, Ireland wiped off the concept of slavery almost by 1200. Just above the slaves come the freemen. There were actually two types of that class and one of them was in a higher status than the other. The first type was the freemen who were capable to have their own possessions. They owned lands and cattle, however, the majority of them had very little to own. On the other hand, there were freemen who were too poor to own. They sometimes had some possessions to own, but they were too few and insignificant. It is easy to guess the first type lied in a social class above the second one; they were slightly wealthier. Above the two types of the freemen was the class of the doernemed. The Doernemed was a prestigious class; however, it was the top class in the Gaelic society. This class consisted of many professionals. Those professionals included physicians, craftsmen, scholars, jurists, poets, lawyers, historians, and more. Each profession was linked to specific families; professions were hereditary as well. Professionals had their own levels too; the highest of them people called An Ollam. An Ollam was a master in his own profession. He could be a physician, poet, historian, or anything. However, there were some professions that not everyone could land. It needed the support of the ruling families. Those professions included poets, doctors, and jurists. Such patronage ended by the end of the Gaelic culture in Ireland. Here comes the top class in the social layers; the soernemed. It is easy to imagine the people who would fall into this category; the ruling class. They were the chieftains, tanists, kings, druids, and poets. Yes, we already said that the poets lie in the Doernemed class. However, the ones that lie in the top social class were the extraordinarily skilled ones. People referred to them as the Fili. The latter was the type of poet whose rule was to praise the king and record history and the traditions. Well, let us stop you here before assuming anything. The Fianna was not a social class; everyone in Gaelic Ireland could be a warrior, even women. Fianna was the name of the warriors that the legend Finn MacCool led. Finn MacCool was a popular warrior in the Gaelic mythology. Going back to our point; the Fianna was a group of young men whose main job was fighting enemies off. They used to live away from the Gaelic society, spending their lives hunting for food. However, there were times when the Nobles fed the Fianna. The cycle goes around and the Fianna started hunting for their food during summer once again. The Gaels may have had different social classes. People inherited their statuses; however, that did not mean they were stuck. They were capable of changing their ranks through more than a few different methods. Of course, those who were in the lower classes could rise up to higher ones. But, the other way around was possible as well. People from high social classes could downgrade, but, obviously, that was a loss rather than an achievement. Well, if you are wondering how slaves could upgrade to being freemen, there are several ways for achieving that. They would do that by gaining wealth, of course. On the other hand, they could upgrade by learning a special skill or a profession. Pretty much like the modern societies, providing some kind of a service to the community could qualify for higher classes. Since there were two types of freemen, they could easily become on the higher side. This happened by a freeman being a client of a lord that would provide him with one of his properties. Definitely, the Lord had something in return, including paying in either money or food. The freeman had the right to be a client for more than one lord, becoming wealthier even faster. That agreement between the lord and the client would be passed down to heirs in case the client died. The literal meaning of Briugu was the Man of Hospitality. Briugu was the term that referred to a generous host. Becoming the latter was a matter of choice; such choice enabled that host to qualify for higher classes. The role of a Briugu was to open his house for as many guests as possible. He also had to feed all of them, regardless of their great number. It was part of the duties of the Briugu to welcome his guests at any time and in any number. Those duties allowed the Briugu to have more privileges, own more lands, and become wealthier. Otherwise, he could lose all of that if he happened to have refused any of his guests. Gaelic Ireland had its own rules that people abided by. During the Early times, Gaelic Ireland had the Brehon Law or the Early Irish Law. It was an integrated decree in which there was every single law that administered the life of Gaelic Ireland. To be more precise, that law was most prominent during the Early Medieval Age. The Early Irish Law survived in Gaelic Ireland as long as possible; however, that was not the case in 1169. It had not gotten completely wiped out, but the Norman invasion managed to conceal a great portion of the law. The latter was among their objectives of Normanizing the Irish lands and overpowering them. However, Brehon Law had been able to revive once again in the 13th century. It was not clear whether it underwent any changes. But, it managed to survive for four more centuries in the largest portion of the Island. Yes, some parts of the Island had entirely left the law behind. In other parts, the law made it to modern times. Starting from the 17th century, the Early Irish Law was no longer the most prominent. However, it was still there, but being applied in parallel with the English law. Law texts had usually referred to the Early Irish Law as Fenechas. That reference was not around the entire universe, it was within the Gaelic Ireland. Fenechas means the law of the Feni; the latter is the Gaelic term of Freemen. Freemen were people in the social class above the slaves; some of them owned lands and cattle while others didn’t. When Christianity arrived in Ireland, it had impacted the Brehon Law, causing some conflicts. Definitely, religions aided in shaping the laws and the society. Later, we will get into more details regarding the major religions that had been to Ireland. Anyhow, the laws were concerned with the civil matter rather the criminal ones. The weird part was that Ireland, at that time, wasn’t familiar with the concept of punishment in cases of crimes. Ireland’s early jurists had probably applied different laws regarding crimes; however, they weren’t sanctions. Well, you must have wondered; if the Brehon law didn’t include punishments, what was it about. In fact, the law discussed simpler matters, but ones that were the most significant in Gaelic Ireland. It revolved around the compensation payment in cases of harm, discussed inheritance as well as contracts. Certainly, it also deliberated the guidelines of owning properties, the rights, and duties associated with them. Oh, there’s one more important point regarding the law; it emphasized the implication of social statuses. Brehon Law discussed the hierarchical society of Gaelic Ireland. It stated the relationships between lords, slaves, and clients. Previously, we stated some of the significant terms that the Early Irish Law includes. On the other hand, they were not the only terms that the law stated. There were a lot of them and they played a significant role in the society of Gaelic Ireland. Those terms included matters regarding murder cases, physical injury, marriage and women, kinship and inheritance, social statuses, and kingship. Murderers happened a lot; it still does; and will probably always do. 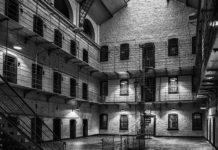 Gaelic Ireland was one of the areas that spurned capital punishment when it came to murder. Then, how did they treat the murderer? There were several ways of dealing with a murderer, but, in some cases, murderers could be killed. It was the last option, though. Otherwise, the murderer was forcibly obliged to pay two different fines. Their names were Log nEnech and the other was Eraic. The former was a payment that the family of the victim received; the latter literally meant a body fine. Eraic was an inevitable fine; if a person committed a murder, they’d to pay for the body they killed. In the past, Gaelic Ireland’s jurists were probably unaware of imposing sanctions for crimes. They did not severely punish guilty people anyway. However, there were laws that protected the citizens, especially those who were in dire need of a compensation. In case of physical injury, there were legal systems that compensated the victims. Those same systems gave the offender the right to the only answer to the victim or their attorneys. Law took care of wounding payment, recovery, and murder cases. The injurer was obliged to be responsible for the patient’s condition. Even if the patient’s recovery was fast and easy, the injurer was still responsible for the nursing, if needed. Taking care of the patient’s wellbeing was called Sick Maintenance. Well, how was the injurer exactly responsible? The injurer had to follow the whole process of the patient’s improvement. That includes paying for everything; food, accommodation, servants, and so on. It is weird that Gaelic Ireland used to deal with cases of injury and murder almost the same; paying fine. At that time, it didn’t matter whether you injured or killed someone, on purpose or not, you’d pay a fine. That was how you paid for your faults; no matter how big they were. Anyhow, an injury was one of the lawful cases that required paying some expenses. Those expenses probably depended on whether the accident was intentional or not; jurists had the ability to distinguish between both. Despite the type of injury, the law was law. There were some exceptions though. Those exceptions involved the victim’s fault. In other words, fines weren’t mandatory in case the victim put himself in danger, fully aware of the high risks. The fines of wounds were based on the severity and the location. Physicians were the ones responsible for deciding the type and amount of payment after diagnosing the patient. Such a decision could take a week up to ten days. During that span, the physician should keep an eye on the patient along with the family members. There was a fine line between severe injuries and murder. If the patient’s life was in danger and could’ve died, the injurer should receive the same treatment of murder crime. However, in most cases, the injurer paid fine; heavy ones though. Such fine had a term that people in Gaelic Ireland referred to it by; Crólige Báis. The literal meaning of this term is blood-lying of death. The Twelve Doors of the Soul was a term used to refer to specific locations of injury. According to the Early Irish Law, some injuries in some body parts were considered very severe. Those parts were ones that could lead right to death. For some reason, those cases grant the physician a great part of the fine that the offender paid. Besides, the physician got to receive a great pay if the case led to further complications. Of course, women and men in ancient times never received the same treatment. Such concepts still exist around the world in our modern times. Past ideologies have incorporated the notion that women are inferior creatures in comparison to men. However, Gaelic Ireland was among the ancient societies where men had superiority over women. But, the Early Irish Law had, somehow, managed to give women the rights that could make them equal to men. Modern scholars even believe that Brehon Law had given both sexes justice. On the other hand, the very same law still depicted Gaelic Ireland as a patriarchal society in terms of inheritance. The rules of inheritance depended on the agnatic descent of pure male line. So, let’s see how Brehon Law treated women in the society of Gaelic Ireland. Christianity helped in raising the status of women of Gaelic Ireland. The combination of Cáin Adomnáin, a Christian Law, and Brehon Law provided women with equality with their male counterparts. At some point, women had greater rights to property and more freedom than men had in Gaelic Ireland. The law of marriage was a bit complicated, but women kept their properties separately from men. However, marriage allowed both sexes to combine their properties, but disputes could lead to separation of properties. The division of properties relied on the contribution of each party to the household. Although Christianity forbid divorce in a lot of cases, Gaelic Ireland allowed it even within its Christian Law. There were a lot of reasons for divorce; the ultimate one was the incapability of conceiving. Other reasons included being physically injured because of her husband. In ancient Ireland, husbands had the complete authority over their wives. They had the permission to beat them up as a mean to correct their behaviour. However, if the beating was intense and left any marks on her body, she had the right to divorce him. In case the woman did not wish for a divorce, she could receive a financial compensation from her own husband. Again, Gaelic Ireland believed in agnatic kinship. Inheritance always required a male line; they had to share the same ancestor as well. There were types of kin groups; Gelfine, Derbfine, Iarfine, and Indfine. Gelfine actually meant the Bright-Kin. It referred to the descendants that shared the same grandfather. However, Derbfine meant Certain-kin; they were the descendants that had a common great-grandfather. Thus, Derbfine had a further relationship with the ancestor. The last two groups; Iarfine and Indfine, were the descendants that shared longer relationships with their ancestors. For example, Iarfine were the descendants of the same great great grandfather while the indfine meant the whole family. Those groups had a leader; they referred to that leader as agae fine, meaning the Pillar of the family. Such a leader had to have many qualifications; most importantly, he had to take care of the members of his family. Taking care of them meant making sure each of them behaved politely and paid their debts. He also took care of widows. The leader could also pay fines for members who were not able to afford them. Despite all of the kindness, that kin groups seemed to have, kicking a member out of a group was possible. That only happened in case that member refused to carry out his responsibilities. Those members were deprived of the rights of inheritance. Gavelkind was the term that the Normans used as a reference to the inheritance practice of Ireland. Gaelic Ireland practised Partitive Inheritance; Gavelkind. That practice stated that all sons should receive the same portions of their father’s properties. It did not matter whether the children were legitimate or not, they had the right to receive a portion. Besides, if a father fostered a child and wasn’t his real son, he should receive a portion of the inheritance. The only sons who should not inherit were the ones who never carried out their responsibilities. They were also the same ones that kin groups kicked them out. The equality of inheritance was limited to the money, but the division of lands was different. There was more than one claim regarding that matter. One of the claims stated that the youngest son was the one who got to divide the land equally. However, the choice of each part began with the eldest then the following brothers. The young son had to take the remaining land. In case the man had no children, his properties went to the descendant nearest to the father of the deceased. Unfortunately, daughters who had brothers did not have the right to receive portions of lands. Instead, they had the right to inherit movable properties like livestock. In case a father had only daughters, they would inherit a small portion. If the woman’s husband died, his properties would go back to his own kin and not to her. That concept actually led families to pressure their daughters to marry from the same kin. Marrying for the same kin allowed families to keep their lands within their own family. We have already emphasised over the fact that social statuses were important in Gaelic Ireland. However, here we go again mentioning that fact over again. A law such as Brehon Law would definitely include terms regarding the statuses of the Gaelic society. Despite that fact, there was a time when Gaelic Ireland experienced a state of equality. People did not have different ranks according to their wealth or properties, but it happened anyway. The Irish law actually divided the society into different segments. Over and beyond, each segment had its own tasks or duties and each of them received different kinds of treatments. Those treatments include dealing with cases of crimes; every segment paid different amounts of fine or provided different compensations. Besides the providence of each status, the services they received were distinct as well. Higher statuses received better types of food and better care during physical injury. According to the Early Irish Law, there were several grades in the society. Each grade represented a category in the social class of Gaelic Ireland. Automatically, the law treated each rank with specific measurements based on lots of matters. Those grades were Poetic grades, Lay grades, Ecclesiastical grades, and more. They were not only three; however, those ones were the most prominent and major ones. Again, the Early Irish Law included almost all matters of Gaelic Ireland. However, it did not seem to elaborate the succession of kings practice enough. Modern scholars claim that they found out how the Kingship in Gaelic Ireland worked. However, the relation between the practice and the law was lower than expected. Besides, the scholars claim that the laws never stated the centre of the High King of Ireland. 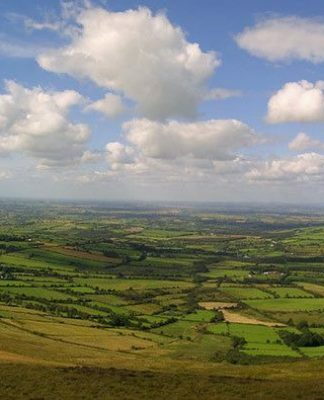 During the ancient times, the Gaels believed that the High King of Ireland should stay at Tara. Conversely, there were no any claims in the law that explained the motives of this practice. Long story short, there are many materials of kingship that the law seemed to overlook. Kings around Europe had the authority to circulate the law or change it. However, kings of Gaelic Ireland never had such an authority. But, they played a vital role in applying the law and acting as agents. Still, it happened to a certain degree. Despite not having the authority to manipulate the law, during the times of emergency, things could take a different turn. Kings in Gaelic Ireland had the privilege of issuing laws in an emergency to save what needed to be saved. However, that law was only temporary and not a permanent one. It was undebated that professional jurists had power within the law, but there were times when kings acted as ones. Kings could possibly act as judges and command orders; however, who had the upper hand remains vague. Needless to say, Kings were the highest social class of the Gaelic society. Their rank went parallel to the Bishops and the extraordinarily skilful poets. However, the kingship itself consisted of ranks as well and they were three different levels. Each level has a specific term that the law refers to kings with. To begin with, the highest rank of kings was the rí ruirech, meaning the King of all Kings. The law also referred to kings of this rank as the rí bunaid cach cinn, meaning the ultimate king of every individual. Then comes the rank just below the King of all Kings. The following rank is what the law refers to it as rí túath, meaning the king of multiple tuaths. Tuath actually meant a tribe; the second rank was the king that ruled more than a few tribes. On the other hand, the lowest rank was known as either rí benn or rí túaithe. The meaning of the two terms, respectively, is the kings of the peaks or the king of a single tuath. One thing that was in the Early Irish Law was that the king was not above the law. But, he was not below it either. In other words, the king did not have the authority to issue new laws. But, no lawful proceedings could be taken against him either. He was the individual with the ultimate power in the society of Gaelic Ireland. Thus, he was an agent; his status went hand in hand with the law; they were parallel to one another. However, it also depended on at what level that king was. Although the law wasn’t applied to the king like the rest, there were some stipulations that applied only to him. Early Irish Law may sound a bit vague when dealing with a high rank as that of the kings. Because no one enforced the law against the king yet the king was not above the law. In fact, there were some cases where kings lost their honour price, but they were very few. So, what happened when a king violated the rules? There was an innovative solution in enforcing the law against a violated king. That solution was that every king had an aithech fortha, which means a substitute churl. Literally, he was a substitute for the king; the law was enforced against that substitute. However, the king was the one responsible for making up for the poor guy paying for his own faults. Yes, kings had their life very arranged. They had a scheme that they followed every week, knowing what to do on each day of the week. However, some scholars believed that such a schematized week for the king was a bit unlikely. But, that was what the Brehon Law stated anyway. On Sundays, the kings went for drinking ale. Monday, he judged; Tuesday, he played an Irish game, fidchell; Wednesday he watched hounds being hunte. Weird enough, Thursday was the day of sexual union; every king seemed to have had spent their Thursdays the same. On the weekends, the king watched racing horses on Friday while he resumed working on Saturday once again. Ireland is a Christian country in our modern times. However, back before Christianity came to dominate Ireland, Paganism was there; Irish people were pagans during the ancient times. They worshipped the gods of Tuatha de Danann, as we previously mentioned. The religion that was dominant in Gaelic Ireland was Polytheism. In fact, Polytheism literally means a lot of gods. The Gaels believed in many divine figures who were god-like creatures. Yes, the gods they believed in were actually many. Some sources claim that people in Gaelic Ireland used to worship hundreds of gods. They may as well reach up to four hundred. This number is relatively large, but that was actually because they went back to a Celtic origin. In other words, the four hundred gods were ones that the Celts believed in. However, not all of them were of a concern to the Gaels. Those gods worshipping depending on many factors; however, a lot of them were there in the era of Gaelic Ireland. You must have been wondering what happened to all of those gods if Gaelic Ireland is no longer around. Well, Ireland may not be Gaelic anymore, but the origins of the Celts stemmed there. Thus, there are a lot of superstitions that still exist at this time. People commonly refer to Polytheism as paganism; they both are one, in case you were confused. The majority of Gaelic Ireland were pagans. Celtic tribes contribute to the spread of this religion during the ancient times. Different nations referred to them by Iron Age People of Western Europe. The Indo-European family consisted of lots of large groups that adopted polytheism. Celtic polytheism was actually one of them; it was the basic religion in Gaelic Ireland. That religion has a great impact on the culture of Gaelic Ireland. It had its very own traditions. When historians searched for the origins of Celtic religious practices, they realized they were influenced by the Romans. The combination of the two cultures resulted in a brand new one called Gallo-Roman. Both cultures shared a lot of beliefs and deities as well. When the Celtic areas were influenced by Christianity, a lot of the traditions of paganism were gone. Still, the traditions of the once were polytheistic area managed to survive in many Celtic nations. So, what happened to Paganism? It is still there, but pagans are among the minority of Ireland. That is because Ireland became a Christian culture. Christianity forbid worshipping any of the gods that were not in the bible. That had actually put an end to paganism in many areas around Gaelic Ireland. Paganism and Polytheism may have not been abundant anymore, but they still exist. There were other means that made Paganism alive until modern times. One of those means was the movement of Celtic Reconstructionist Paganism. Irish people had made it clear that Christianity is no longer wiping off the religions of their ancient ancestors. Besides believing in several gods, Gaelic Ireland had the notion that inanimate things were alive. It was a concept that the Celtic culture had always adopted and believed in. Lands, trees, and rocks were among the things that the Gaels believed had souls. They believed that those lifeless things dealt with the nature of the universe in the same manner human did. The origins of such concept remain bizarre; however, guessing can help sometimes. Gaelic Ireland was all about believing supernatural gods, like the Tuatha de Danann. The portrayal of gods usually involved animal forms and sometimes, they were seas and rivers. Probably, that was how the notion of alive inanimate things arose. Of course, those beliefs impacted the culture of that time. Some areas have actually banned owning lands; as owning a soul was quite close to slavery. 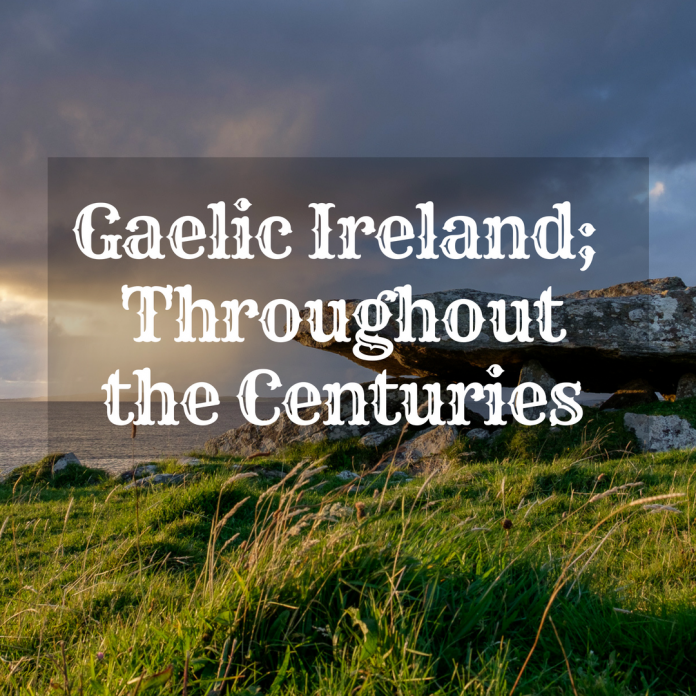 The era of Gaelic Ireland was one that a lot of nations wrote about it. Surprisingly, the whole Celtic culture was not written down by the Celts themselves. The records that documented the lives of the Celts were foreign ones. They were mostly Romans as well. Unfortunately, the Celts’ bad luck had paved the way for their greatest enemy, the Romans, to write their history. Gaelic Ireland had gone through more than a few invasions. One of them was the Romans; they perceived the whole Celtic nation as barbarians. They had also portrayed them as such in all of the historical records. The truth is; the Celts had a lot of positive aspects that not every nation came to mention. One of those aspects was the fact that they were religiously acceptant. Gaelic Ireland had undergone a conversion from Paganism to Christianity; however, pagans still exist. Such conversion had developed tolerance among the Gaels or the Celts in general. History claims that the Gaels never attempted to impose their Gaelic cultures over others. Even when they the ones in power. The tolerance was obvious through them letting tribes from other cultures to perform their religious practices. They were accepting the differences between their own religion and those of others. Gaelic Ireland may have believed in hundreds of gods; however, some of them were the most prominent. Those prevalent divine figures included Lugus, Brigid, Toutatis, Taranis, and more. There is a lot to learn about the Celtic gods. However, there are also many tales about each deity that the Gaels worshipped. We will give full details about each of the major gods of the Gaels. You need to first learn about Tuatha de Danann; the supernatural race from which most of the gods come. Who Were the Tuatha de Danann? Before the arrival of Christianity, the majority of Gaelic Ireland worshipped the gods and goddesses of Tuatha de Danann. The latter was an ancient Irish race that possessed supernatural powers and was among the first residents of Ireland. What made the Tuatha de Danann have such superpowers was the fact that they were god-like creatures. People worshipped them for the powers that possessed; they enabled them to do extraordinary things. They came from four different cities; Gorias, Murias, Finias, and Falias. Besides being powerful, they managed to bring exceptional skills from the four cities and used them for Ireland’s development. Those cities in which they used to reside in had four men that taught them the best skills possible. These men were Urias in Gorias; Senias in Murias, Arias in Finias; and Morias in Falias. Along with their wisdom and skills, they brought to Ireland the four treasures. The literal meaning of the Tuatha de Danann is the Tribe of Goddess Danu. Danu was the mother goddesses of every other divine figure of the race. The Gaelic mythology had not mentioned a lot about her, but they referred to her as the mother. In the Gaelic mythology, you would come across more than a few gods that made great kings and warriors. Among those characters laid God Lugus. History usually referred to him as Lugh as the Celtic mythology used to write the name. Lugus was one of the Celtic gods as well as a member of the Tuatha de Danann. He was the god of storm and the sun; besides, he was powerful, young, and strong. One of Lugus’ parents belonged to a different race; the Fomorians. He was Half-Fomorian and Half-Tuatha de Danann. Thus, he worked hard in an attempt to join the army of the Tuatha. However, it was not that difficult, for Lugus was a talented warrior who had many skills. Nuada was the first leader of their race. He lost an arm during a battle, so they had to choose another temporary king. That king was Bres, like Lugh; he was half-Fomorian. He suppressed the Tuatha de Danann during his reign. Lugh never accepted the oppression; his people had always seen hope in Lugh for his youthfulness and persistence. When Nuada got back to the throne, so the Fomorians came for a revenge. Balor, the king of the Fomorians, killed Nuada. In return, Lugh managed to kill Balor and avenge the death of his king. The Tuatha de Danann gained the upper hand thanks to Lugh. He became the second king after Nuada. People of his race trusted him for bringing them the justice they longed for. The mythology sometimes refers to goddess Brigid by Saint Brigid. There is a story behind such naming; a great one too. Goddess Brigid was one of the prominent goddesses in Gaelic Ireland. However, the Irish mythology also refers to her as the goddess of war. Gaelic Ireland and the Celts, in general, perceived wars as a sacred element that showed their worth. Being a warrior was as being among the top social layers of the society. Thus, the Gaelic history had always emphasized on wars and worshipped such gods and goddesses. Goddess Brigid, like all of the Tuatha de Danann, possessed many superpowers. Among those powers, she had the ability to heal and provide fertility. The pagans worshipped so many gods heartedly. In the ancient times, Brigid was one of the sacred goddesses that Gaelic Ireland believed in. She had so many followers before the arrival of Christianity. When the Irish culture was Christianized, people stopped worshipping gods and goddesses of paganism. That was the new religion inhibited worshipping any gods other than Christ. Goddess Brigid was fully aware of that fact and she was afraid she would no longer have worshippers. Thus, she converted to Christianity and became a Saint. That way, she still kept her followers in the new religion as well as her reputation. Gaelic Ireland along with the British Isles, Rhineland, and Danube regions worshipped the sacred triad. That triad consisted of three Gaelic gods; Taranis, Toutatis, and Esus. However, Taranis was the most significant of all of them. He was the god of thunder. Those three gods whom the Gaels made human sacrifices to. They believed that those offerings would please their gods. The illustration of God Taranis usually included a man with a heavy beard and a thunderbolt in his hand. More depictions involve holding a wheel in the other hand as a symbol of the wheel of the year. Some claims profess that the walls of the Gundestrup cauldron, the inner ones, contain a portrayal of the god. Taranis was not only popular in the Celtic mythology, but also in the Greek mythology. Historians and scholars have always found a connection between Taranis and the wheel. Mythology refers to the holidays of the pagans as the wheel of the year. We will get to that point shortly. God Taranis has always had a connection with the wheel of the year. Portrayals of him usually had him holding a wheel in one hand while a thunderbolt in the other. But, what exactly is the Wheel of the Year? It is a term used to refer to the annual cycle of the Celtic seasonal festival. Pretty much like the Celtic calendar; however, the wheel consists of all of the eight festivals. The Celtic calendar only refers to the quarter days of the year, commonly known as the cross-quarter days. Those days are the four midpoints of the eight festivals of Gaelic Ireland; they’re the most significant festivals as well. Those eight festivals play a great role in the traditions of Gaelic Ireland. In fact, they play role in the history of Paganism and the Celtic culture as a whole. They may differ from one nation to another in terms of dates of names. However, they all carry the same implications and importance to Celtic people of all ancient and modern ages. History shows that the ancient pagans used to celebrate only the four midpoint festivals of the year. In other words, they only celebrate Imbolc, Beltane, Lughnasa, and Samhain. Those four, in particular, had both agricultural and seasonal significance. Thus, they are the most prominent. In the contemporary ages, the Celts innovated the eightfold or the Wheel of the Year. Such modern innovation made their festivals more often throughout the year instead of every three months. So, Gaelic Ireland used to celebrate only four festivals. The modern Paganism seems to have a different opinion regarding that matter. Having eight festivals throughout the years may sound a bit weird to people. However, they’re divided into two types; major festivals, which are the four midpoint festivals of the year, and minor festivals. The four major festivals are Imbolc, Beltane, Lughnasa, and Samhain. On the other hand, the minor ones are Yule, Ostara, Litha, and Mabon. The cycle usually goes with one major festival first and then a minor one follows. Then, it repeats itself every year. The Gaelic traditions have always considered those festivals as the cycle of life and death of the sun. Those celebrations are based on the life of the solar system. Some festivals start when the sun is reborn while others mark its death. Besides the solar cycle, the festivals also mark the beginning and the middles of the four seasons of the year. The modern movement of Polytheism is known as Neopaganism. It combines the traditions of both the Wiccans and Non-Wiccans. The Non-Wiccans or the Gaelic, festivals revolve around the life cycle of the sun, as we previously mentioned. On the other hand, the Wiccan traditions are more connected to the lunar cycle. Thus, they both represent the newly-born contemporary religion, Neopaganism. Yule is one of the festivals that do not take that much attention throughout the year. However, it was a predominant one in Gaelic Ireland in the ancient times. People used to refer to it as either Yule or midwinter. Yule takes place from the 20th of December until the 23rd and it comes right after Samhain. It is the festival when people celebrate the winter solstice. In other words, the festival marks the last day where the night is short. It celebrates the beginning of long days that last until the summer solstice, which they call Litha. We will get into the details of Litha festivals shortly. Yule is actually the festival that used to symbolize hope for people in Gaelic Ireland. The idea of that celebration revolves around the idea that after the storm, there is always sunshine. Celebration themes are all about the rebirth of the light. According to the Celtic mythology, in Yule, the Goddess gives birth to the God of Light or the Sun Child. There is also another ideology around the cycle of the solstice festivals. This ideology states that there is a king that rules for half a year and another for the other half. Holly King is the one that rules from Litha until Yule. On the other hand, Oak King rules from Yule to Litha. During Yule, a battle arises between the two kings where Oak King gains the upper hand. Bonfires are essential in celebrating any significant event in Gaelic Ireland. People around the country would light bonfires everywhere in either public areas or inside their own houses. Lighting bonfires is usually a method of the Celts that represents welcoming the sunlight. That is the case with Yule since it is the time where the days become longer and nights become shorter. People also celebrate using an ancient form of Christmas Caroling by toasting to good health and drinking all night long. Gaelic Ireland may be one of the countries that celebrated Yule, but it was not the only one for sure. This festival existed in more than a few cultures with different terms and distinct traditions. However, they all represented the idea of hope renewal and welcoming the sunlight. For example, the Persians celebrated the festival of God of Sun, Mithras, on the 25th of December. On the other hand, the Romans celebrated Saturnalia, known as the festival of light, on the 17th of December. Not all of the festivals take place on the same in different cultures. However, they all stand for the same thing after all. Imbolc is the first major holiday that all of the Celtic cultures celebrate to this day. Sometimes, the name of the festivals is Imbolc; other times, it is Imbolg. Those differences do not mean anything; it just depends on different origins, but the two terms carry the same meaning. The literal meaning of the terms is “in the belly.” Yes, it is quite bizarre; however, there is a story behind such naming that clears the ambiguity. Imbolc signifies the end of winter by taking place on the first day of February. The Gaels used to refer to winter as the toughest season of the year. During winter, they put their whole life on hold waiting for the chill to pass by. When winter is all over, life starts resuming once again in the Celtic regions. It is the season of animal breeding and farmers start their farming mission. That festival has a great connection with the Goddess of the sun, Brigid. She may be the symbol of fire and sun, but she was also the god of fertility. This justifies the connection between animal breeding and the festival as well. Although the celebration takes place on February 1st, the start of the season may differ. It is not a general rule that winter ends in February anyway. So, the season may start when winter has already come to an end. Besides, the behaviour of the cattle, and animals, is another factor that determines the start of the new season. Saint Brigid was the Goddess of fire, sun, war, and fertility. Goddesses of Gaelic Ireland used to symbolize more than a few things. Being the goddess of fertility explains her connection to this festival as for the animal and cattle breeding. But, it seems like that is not the only way the festival was linked to her. In fact, there was a practice in Gaelic Ireland that still takes place in today’s celebrations; lighting bonfires. Imbolc is not the only festival where the fire plays a vital role; most of the holidays do as well. Lighting bonfires all across the country have always had a significance that goes in accordance to the season. On this specific holiday, bonfires are a symbol of welcoming the sun back into their lives. During winter, the chilly breeze makes the sun almost gone, unlike its powerful radiance in other seasons. Bonfires are part of the festival. They light them in the centre of any festival held in public as well as inside their own homes. Imbolc is originally a Pagan celebration. Although Christianity attempted to wipe off any traces of Paganism, they kept this festival. It is even now associated with crosses; Brigid’s crosses. Imbolc is actually one of the few things that paganism and Christianity have in common. Brigid was actually the goddess of fire and fertility, but that was not how her connection to the festival started. Imbolc is a festival that existed through both paganism and Christianity; just like Brigid did. She died in 525 on February 1st, as legends claim, and her body is in a tomb in Kildare, Ireland. Most of the gods and goddesses of the pagan times were legendary, but there is evidence of Brigid’s real existence. When she converted to Christianity, she customized crosses to spread the faith everywhere. Legends have it that she once visited a leader on his deathbed. It was the time when she first customized a cross and it became a trend. Because of her, this leader converted to Christianity right before he passed away. People started customizing crosses the same way Brigid did. They call it Brigid’s crosses as well. This custom became a tradition in Gaelic Ireland and the modern times. Even children became part of the tradition by learning how to properly customise a Brigid’s cross. Until this day, people still hang those crosses inside their places and on their doors. They believe that they bring sanctification and help them safely sleep through the night. The Celtic culture has always embraced the very existence of holy wells. They were of a great significance to them. Gaelic Ireland had always practised what they now call the Irish Blessings. Those blessings are granted through performing specific practice near a well they believe to be holy. Since wells play role in the Gaelic culture, they use it in many festivals and Imbolc is no exception. The Celts have always used to visit wells to pray for blessings. They do so by providing offerings to the gods or using a colourful piece of cloth. Those practices have not ended with the end of the ancient times; they still exist in these modern times. Imbolc has actually survived until today; however, a lot of practices have lost their meaning or disappeared altogether. The modern Celts refer to this day as St. Brigid’s Day rather than Imbolc, for the majority are Christians now. This day became more like a memoir of Saint Brigid and not about celebrating the end of winter anymore. In the ancient times, the Celts have always read omens in order to predict the weather. They were always waiting for winter to come to an end so they can resume their lives. Imbolc is greatly connected to the weather. It was the festival where they celebrate, welcoming the spring into their cold atmosphere. The warm weather that comes along with Imbolc escorted people to believe that it improves their own health. Their love also lied in their notion that the evil spirits stay away during that time. There is a lot of odd notions that Gaelic Ireland had adopted. Besides, they believed that bad weather was a good sign. Yes, it sounds weird for folks who appreciate the great weather. In fact, there is a story behind the concept of bad weather on February 1st is a good sign. The Celtic folklore plays part in the formation of such notion. It always depicted a mythical creature, Cailleach, that collected wood on Imbolc. That wicked creature never shows up on bad weather days, meaning she’d stay in her den if the weather’s horrible. If she did not collect her wood, then winter would end soon and summer would start perfectly. That was how the Celts came up with the theory of bad weather means a great summer. Ostara is one of the two times of the year where the night and day are balanced out. They are both equal in length. However, the day becomes longer, making the weather much warmer. To Gaelic Ireland, that was the definition of perfection since they never seemed to like winter. They even regarded it as the darkest half of the year. Sometimes, people refer to Ostara by Vernal Equinox. 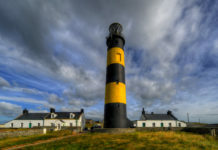 It is quite normal to find most of the things in Gaelic Ireland has more than one term. We usually introduce the ones that are most common. 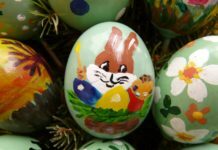 In this case, Ostara is the term that they most commonly use. Ostara actually takes place in April. It marks the very first day of spring. The name derives from the name of a Germanic goddess called Eostre. People celebrate the abundant fertility of the Earth during Ostara. Besides, it is the Celtic equivalent of the Christian Easter celebration. According to the Celtic mythology, Ostara was the Goddess of fertility. Her name is even close to that of the females’ hormone, Estrogen. This actually explains being the fertility Goddess and symbolizing the fertility of women during Spring. Since every festival comes associated with certain symbols, the symbols of Ostara are commonly the Hare and the Egg. That’s because the depiction of Goddess Ostara in the mythology claims that her head and shoulders were of a hare. Each symbol carries a specific implication in which they represent. To many cultures in the world, Gaelic Ireland adopted a lot of bizarre notions. However, it was how superstitions and traditions work. You come to the world just to find them there waiting to be told over and over again. One of the concepts that Gaelic Ireland believed in was the holiness of the hare. In fact, the hare was an iconic animal of many lunar goddesses. That is because the Celtic culture had always regarded it as the symbol of the moon. Thus, goddesses like Hecate, Holda, and Freyja took the hare as an icon for themselves. Goddess Ostara was no exception; she believed in the sacredness of the hare too. Well, Ostara wasn’t a lunar goddess; she was the goddess of fertility, but here is her connection to the moon. Ostara was the Celtic equivalent of the Christian Easter. The phase of the moon is what determines the date of the latter. Thus, both festivals became spontaneously associated with the moon as their symbol. So, what is the connection between the moon and the hare? Good question, for there is actually a great explanation to that point. Gaelic Ireland believed that the hare was a nocturnal animal that died every morning and revived every night. Such belief is quite similar to the moon that gets reborn every night. This constant resurrection also represents the rebirth of the Spring. In Gaelic Ireland, hunting the hare was taboo during the very ancient times. They believed it was a holy animal that deserved respect. However, with the arrival of Christianity, some things have taken a different turn. It was common to determine the date and time of Easter through the moon phase. On the other hand, people used to believe that the Hare had a strong link to the lunar cycle. Thus, hunting hares became a common activity in several cultures. That activity used to take place during spring. Conversely, the hare bears a great resemblance to the rabbit. Through the centuries, legends have developed the notion that Easter Bunny brings eggs to children around the world in Easter. That was how the idea of the Easter Bunny originated. Have you ever wondered why exactly it brought eggs and not candies? Well, there is another story behind that eggs thing too. 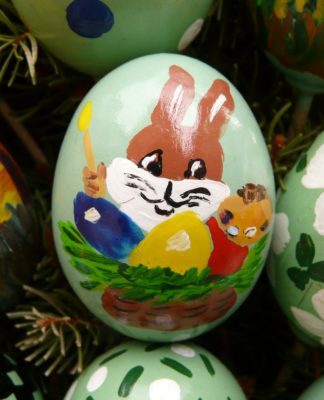 A lot of traditions perceive the egg a little representation of how the whole universe works. Apparently, Gaelic Ireland was no exception. The egg is actually a natural representation of balance between everything in the world. The egg yolk and white represent the balance between male and female as well as the dark and the light. All that it takes to keep the balance of the universe lies in the eggs. More precisely, the white of the egg represents the White Goddess. On the other hand, the egg yolk represents the Sun God as it is as golden as the sun. Inside the egg, the yolk is enfolded by the white. This illustrates an image for use where the White Goddess is embracing the Sun God. Such embrace is what keeps the world’s balance in check and in constant growth. When summer starts and the weather is hot, the Celts get happy. So, they had to mark the beginning of such season with a festival. That is why Beltane is around; it celebrates the beginning of summer and reminds the Celts of their heritage. 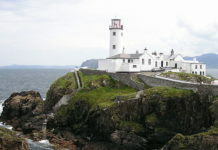 Besides, the festival is not restricted to Ireland, it also extends to the Isle of Man and Scotland. Since festivals usually take place on the first day of the month, so does Beltane. It takes place on the 1st of May. People usually refer to Beltane festival as May Day. May Day is also linked to the gods and goddesses of fertility. It marks the start of summer, so people celebrate the greenery and fertility of the land. But, the celebration of fertility here is not only about the lands; it’s also about the humans’ biological functions. To have the utmost fun out of it, people start the celebration on the last day of April. So that, it lasts for one full day laden with joy and excitement. Are you wondering how they celebrate? Well, it is easy to guess; they use fire, definitely. People usually refer to Beltane as the fire festival, for they use a lot of fire in their celebration. Gaelic Ireland has always valued fire in celebration and so does modern Ireland. They even worshipped gods of fire in ancient times. Even the word Beltane means Bright fire. So, what does fire imply? Gaelic Ireland used to adopt the notion that fire heals and purifies. The origins of such beliefs are vague, but it explains their constant use of fire for celebrating. However, their traditions always included lighting a bonfire and revolving around it. They would dance, sing, and enjoy their time around the large bonfire. The sturdy belief in fire escorted the Celts to treat it as a mean to connect with one another. It was actually used for more than a few purposes, but the most common belief was that it protected them. Legends have it that the marriage of the god and goddess results in the birth of summer. Thus, that what the bonfire symbolizes. While fire is usually part of any festival practices, there are more superstitions that are carried out in Beltane. Those superstitions include jumping the broomstick as well as common marriages. It is the season of fertility, so people get married a lot during that time. They also believe that Beltane was the time when the God married the Goddess. Thus, they say that it is the time when everything is fertile; lands and humans. However, legends claim that Beltane was actually the marriage of the great God and Goddesses. Pagans used to believe that it was the best time for marriage. Through the years, people adopted that tradition that they may as well forget why it is the season of marriage. Calton Hill is the most popular location where the festival of Beltane takes place. The Hill sits on the lands of Scotland. People start marching throughout the day as groups that get to meet one another at each meeting point. This march starts at the National Monument in an anti-clockwise direction. The leaders of the march are people who personate May Queen and the Green Man. Besides, there are always drums including the Irish one, Bodhran Drum, that keep banging along the march. In the end, there is a performance that illustrates the heritage of Gaelic Ireland and other Celtic regions, including Scotland. Performers start dancing and singing while wearing white and red. Eventually, they all rest and enjoy a delicious buffet, including Irish food and other drinks. Remember the tradition of jumping the broomstick? It is part of the Irish wedding traditions and one that people do on Beltane. It signifies that the couple is starting a new life together and leaving their old one behind the stick. Yes, they literally jump over the broomstick while it lays flat on the ground. Besides jumping the broomstick, there was also handfasting. This tradition involves the couple tying their hands together as a sign of commitment. They had the permission to choose the length and type of relationship anyway. However, on their wedding day, they had to wear the Claddagh ring and exchange vows. There is an interesting yet very odd custom that Gaelic Ireland used to perform in Beltane. The Celts call it A-Maying. This practice involves the couples of all ages spend the whole night in the woods. They spend it there and make love in public. After the night is over, they collect some flowers and lots of blossoms before heading to their own place. They even brought hawthorns, the unlucky plant, to their home, ONLY in Beltane. Just like there is midwinter, there is also Midsummer and people refer to it as Litha. Litha was actually among the ancient festivals that Gaelic Ireland celebrated. It is a solar celebration that takes place in the 21st or 22nd of June. This festival was actually the time when people celebrated the process of travelling to heavens. They did not celebrate the existence of heavens itself. Instead, they celebrate the space between the heavens and the earth. It signified a lot to Gaelic Ireland and the Celtic culture as a whole. Most of the festivals are usually about the balance of the universe. They signify the balance between the seasons and the equilibrium of the day and night. Litha, in particular, is a solar celebration that honours the balance between water and fire. According to the traditions of Gaelic Ireland, Litha was another battle between the kings of light and dark, like Yule. In Yule, Oak King gets to defeat the Holly King and takes over. However, in Litha, it is the other way around; Holly King rules after conquering Oak King. Again, this battle happens twice a year where each king rules half of the year. We are not sure why they in the first place if each of them always wins during the required solstice. Lighting bonfires have always been a tradition of celebration in Gaelic Ireland. According to The Pagan Family book, there were specific fire traditions used to celebrate that time. Ceisiwr Serith, the author of the book, claims that ancient cultures celebrated by flaming up large wheels. They would set the wheels on the fire and then roll them down a hill. At the end of the hill, the wheels would splash into the water and the fire would be put down. There were many interpretations regarding this tradition. One theory claims that people in Gaelic Ireland believed that they prevent drought by doing so. That was because the water usually reduces the steaming heat of the sun. They thought they were keeping the water for longer. A different theory suggests that thrusting the flaming wheel into water symbolizes that the sun strength is starting to weaken. Lughnasa is the third major festival in the ancient calendar of Gaelic Ireland. The Gaels used to regard it as one of the happiest events of the year. Probably, that was because it marks the beginning of the harvest season. Remember God Lugh? Yes, he was the champion of the Tuatha de Danann. Besides, he was the god who provided a vast number of crops every year during the harvest season. He was the god associated with this festival and the name, Lughnasa, made it clear. However, in some Celtic region today and in Gaelic Ireland, people called it Lammas instead of Lughnasa. This festival takes place on the 1st of August. It is also the last festival in the Celtic year. Samhain follows Lughnasa; however, Samhain marks the beginning of the new Celtic year. Thus, Lughnasa remains the last festival. The origins of that day go back to the Celtic god, Lugh. He used to hold that festival in August, acting as both a competition for the athletes and a funeral feast. Funeral feast is a weird term; however, it was a fact. Lugh made that festival as a memoir of his deceased mother, Taitlin. When he was young, she passed away during clearing the plain. 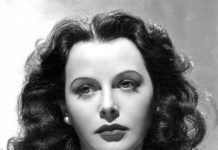 Her death was a result of extreme exhaustion. Every festival came had given people of Gaelic Ireland the chance to develop new traditions and superstitions. In Lughnasa, the harvest season starts and people get to eat the first meal of the new crop. This festival shows a great portion of joy and happiness. People perform a lot of practices as feasting, matchmaking, athletic competitions, and trading. However, that was in the ancient times of Gaelic Ireland. Nowadays, the celebration is no longer the same. People no longer carry out the same practices. However, they still dance, tell stories, and enjoy food in the festival. Besides, there is only one tradition that existed in Gaelic Ireland and survived in some Celtic areas of today. The custom is known as Reek Sunday; it is the last Sunday in July. People choose this particular day to roam the streets until they reach Croagh Patrick. This place is the final destination where people end their march and starts climbing up its steep. They celebrate there by dancing, singing, and having fun. Here comes the Autumnal Equinox, as most of Gaelic Ireland used to refer to it. Mabon is the name of the festival that marks that time of the year. The Celts pronounce it as either (May-bun) or (Mah-boon). The difference depends on the accent of each region. It is formerly the second harvest throughout the year. Besides, it takes place in September starting from the 21st and lasting to the 23rd. Anyway, what does the Autumnal Equinox mean? Well, it is that time of the year where the length of the day and night is equal. This festival represents the importance of balance as well as equality through the harmony of its day and night. People in Gaelic Ireland used to wait for this festival in order to lavishly dress up and dine. Such superstition still exists in the modern Celtic regions. During the festival, people gather with their loved ones to celebrate together by drinking and dancing. It’s also the time where the Celts make wine and gather dried plants and seeds as part of the celebration. The other activities that people carry out on this day include roaming in the woods. They also perform other practices that may sound a bit odd to some cultures. These practices involve embellishing the graves of the loved ones with pine and cones and leaves. They also offer beverages and drinks to the trees, for some mysterious reason. Mabon is one of the weirdest festivals that took place in Gaelic Ireland. Not only because of the practices that were performed, but also for the implication of it. We already stated that it symbolized the true meaning of balance and equality. However, it was also time where the Gaels honoured the Spirit world and the Aging Deities. Those deities include a list of gods and goddesses that Gaelic Ireland used to worship in pagan times. The list includes Espona, Morgan, God Mabon, The Green Man, Pamona and the Muses, Modron Goddess, and more. The point of this festival is to stop whatever you do in life and start relaxing and enjoying it. It calls out for balance between the goals we thrive to accomplish and the life we should not be missing. So, people wait for that particular time of the year to enjoy their time with their loved ones. It is the time where you take rest for your daily hectic responsibilities and enjoy life before resuming your roles. Since Mabon is a time to celebrate, there always has to be food. Yes, food is always part of any celebration in every culture and throughout the ages. People on Mabon take a break from work and life and reaping what they sew, literally. A lot of people in Gaelic Ireland used to grow their own food. So, Mabon is considered the break where they enjoy their personal achievements. The most significant foods of Mabon include potatoes, apples, bread, onions, pomegranates, and carrots. There are definitely more foods, but those are the ones that people most enjoy in Mabon. The Celtic year does not start with the beginning of the ordinary year in January. In fact, it starts in October when Samhain takes place. This is the only festival that Gaelic Ireland did not celebrate on the first day of the month like the other festivals. Instead, Gaelic Ireland celebrated Samhain on the last day of October, on the 31st. However, the celebration usually lasts for the following day, so the festival takes place on the 1st of November too. This festival is just another one that originated during the pagan times. Samhain marks the end of the harvest season and the beginning of winter all over again. Although the Celts had always regarded winter as the toughest days of the year, they still celebrated its beginning. Despite the celebration, Samhain marks the beginning of the dark half of the year, as Gaelic Ireland called it. Samhain has always been related to darkness. It is also the synonym of Halloween; people actually regard it as the Celtic Halloween. Many sources have professed that the American Halloween had probably originated from Samhain festival. When this festival approaches, people believe that the boundaries between the Otherworld and ours vanish. That makes way for the evil spirits and mythical creatures to seep into our world, making it dark and spooky. Probably, that is the reason they believe that winter was the dark half of the year. The world’s always regarded Samhain as the Celtic Halloween. It’s that festival where they talk about the dead and wear frightening costumes. Mythology’s always referred to Samhain as the festival for the dead. There was a notion in Gaelic Ireland claiming that the doors of the Otherworld open by the end of October. The scary part is that wicked creatures from another realm get to our world. They destroy and cause as great damage as possible. Those creatures are another gruesome addition to what they call the darkest half of the year. Since Samhain is pretty much like Halloween, disguise is an essential part. The idea of dressing up in scary costumes dates back to about the 16th century. There are several Celtic songs that are associated with Samhain. Just like every festival, it has its own songs, costumes, spooky ones, and superstitions as part of the celebration. Scary costumes of this modern time are just a mean of having fun and enjoying our times. However, that was not the case back in Gaelic Ireland. In fact, the Celts wore those costumes as a method of hiding away from the malevolent spirits. They thought that if they looked evil themselves, the dark souls of the Otherworld would not be able to recognize. According to the Celtic legends and myths, the role of the evil spirits was to knock on the doors. They ask the humans for offerings and sacrifices in order to leave them in peace. Thus, it became a tradition on that day that people dress up and knock on doors asking for favors. They did that for fun as well as running away from dooming their lives. The concern of the mythology with Samhain festival goes back to its connection with one of its prominent warriors. Finn MacCool is one of the prevalent warriors that the Celtic mythology embraces too many tales about. He was the one responsible for escorting people to believe in the open doors of the Otherworld. There were many tales regarding that matter as well. where people assemble to celebrate and look for ways to ruin it. Aillen breathed fire and had a special kind of music that lulled people into a sleeping mode. It hypnotized people, so it could destroy as much as it pleased. However, Finn MacCool never fell a victim to the music of Aillen. He was the only one who could manage to stay sober and take Aillen down. There was another tale when Finn MacCool was involved in fighting the creatures that appear in Samhain. Tale is known as Colloquy of the Elders; it revolves around several female werewolves who long for destruction. The werewolves got out of a cave known as Cruachan cave with the aim of killing the cattle. The Fianna were on the lookout for those werewolves to defeat them and save the cattle. A harpist would play a music that transformed the female werewolves into human beings. He got things easier for the Fianna warriors. Samhain was actually a very weird festival. Festivals are supposed to be happy and joyful. In fact, Samhain was all about the darkness that the world carries within its core. The mythology claims that in the ancient times an atrocious power was given a free rein to. The people in Gaelic Ireland had to make great sacrifices in order to put that power to rest. Thus, they used to offer food, drinks, and their own children to the evil spirits. Pleasing those dark spirits meant they would leave the world live in peace. Another practice that the ancient Celts used to perform was the Divination. The latter is a term that defines the role of reading the future. It was one of the most predominant practices in Gaelic Ireland. Definitely, the Celts of the modern times have grown out of such notions. Yet, they still carry out some remnants of the traditions that aid us in interpreting their past. What they do nowadays is going to church at midnight, stand on a porch waiting to learn about their future. The difference between the past and the present may lie in the religious influence. Samhain has been around since the pagan times. As a consequence, people used to practice divination for as long as ever. When the traditions became Christianized, some of the pagan practices managed to stick around. However, they now take place in churches with a more religious form.